We pride ourselves in giving you delicious, made from scratch meals using traditional recipes and the best ingredients. Come inside for a virtual tour and find your favorite seat. Enjoy your visit to the Fox & Hounds Pub and Restaurant and call it home too. Great food, great atmosphere, great service. 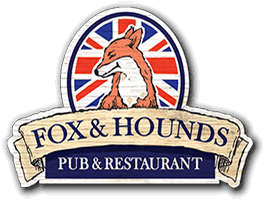 Located in Aldergrove at 264th Street and Fraser Highway, the Fox & Hounds is an English-style inspired neighborhood pub and family restaurant. It seats more than 200 guests and offers a great variety of delicious, made from scratch meals using traditional recipes and the best ingredients. We support a community of local producers and give you the freshest and most flavour-filled produce, cheeses and meats available.